At the meeting in Vienna, the Organization of Petroleum Exporting Countries resisted calls from Venezuela to reduce production, although they did consider a cut of 5% according to Iraqi Oil Minister Adel Mahdi. The reaction in the energy complex was quick and fierce, with US crude oil posting a $4.44 sell off to $69.06 per barrel, the weakest level since early 2010. Gold extended its slump by losing $7.4 to $1,190.3 on reports that the largest exchange traded product backed by the precious metal had shrunk to a 6 year low. This weekend all eyes will be on Switzerland holding a referendum on November 30 that would require central bank to hold at least 20% of assets in gold. The latest signs point to a very slim chance that OPEC ministers will agree on trimming oil supplies after Saudi Oil Minister Ali Al-Naimi said 'falling prices will stabilize on their own'. On top of that, the US Department of Energy released its weekly inventories report showing a larger than expected build in stockpiles. 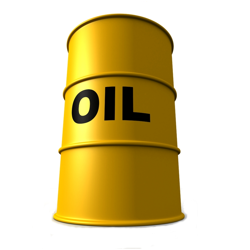 Consequently, it was little surprise to see WTI crude slumping further, ending $0.40 in the red at $73.47 per barrel. With US equities remaining close to record highs, investors discarded gold, pushing its price $2.2 lower to $1,198. This happened despite a weaker US dollar amid news that assets in the largest exchange traded product backed by gold are at the smallest level in 6 years. Ahead of the OPEC meeting in Vienna, member countries have not yet shown any public signs of agreement on joint commitments to cut oil supplies. As a result, WTI crude posted another sharp sell off, losing $1.64 to $73.87 per barrel, a fresh four year low. Gold spread betting prices initially dropped on the positive data regarding US economic growth. However, a slump in the dollar encouraged a reversal and drove the precious metal $2.9 higher to $1,201. On 30 November Switzerland will be holding a referendum on whether the Swiss National Bank should keep at least 20% of its assets in gold and never sell any. This will be one to watch for the gold bugs. The energy complex is keeping a close eye on OPEC as their rhetoric is scrutinized ahead of a meeting in Vienna on 27 November. Apparently Iraq, Iran and Libya might be spared from oil production cuts. Meanwhile, WTI continued its slump yesterday, losing another $1.15 to $75.47 per barrel. For the past three weeks, gold has enjoyed something of a recovery, even testing the $1,200 mark which has now turned into resistance. However, a strengthening dollar mirroring an improving US economy might be hard to ignore, so fresh sell offs should definitely be considered. For the first time since 2012, the People's Bank of China cut interest rates in an attempt to boost its economy. Being the second biggest oil consumer in the world, the reaction in the energy market was swift, with WTI crude prices rallying $0.32 to $76.62 per barrel. In addition, OPEC is set to hold a meeting later this week, with many analysts predicting a reduction in output targets. A slash in the Chinese lending and deposit rates came as a breath of fresh air for gold investors. Demand for a wealth preservation asset went up and pushed the precious metal $6.4 higher to $1,201.1.